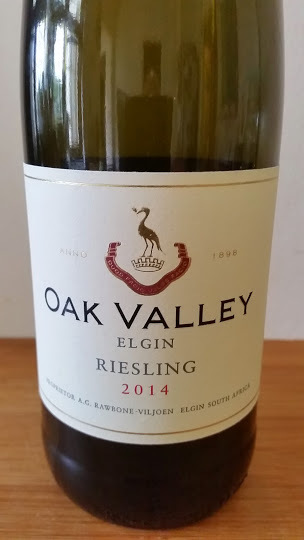 In 2011, a small Viognier vineyard planted in 2004 on Elgin property Oak Valley was grafted over to Riesling and the 2014 is the first release. It’s got an interesting analysis with alcohol by volume being 11.89%, residual sugar 16.4g/l, TA 7.2g/l and pH 2.97. Pretty aromatics of lime and apple blossom on the nose and a palate designed for wide appeal – purists will however feel that the sweetness is not sufficiently offset by the acidity. Price: R95 a bottle.